Now is the best time to encourage your child to channel their inner artist! Get the art materials and supplies ready because this March, we are celebrating National Crafts Month! National Crafts Month was created by the Craft and Hobby Association in 1994. This celebration of crafts is designed to encourage everyone to find joy in crafting, learn new crafts and discover or revisit a hobby. It also supports the use of all kinds of mediums. From paints, fabrics, yarns, paper – you can have your child take their pick when it comes to materials. Celebrate National Crafts Month with these projects your little one will surely love! This Rainbow Windsock Toilet Paper Roll Craft is an adorable craft perfect for rainy days. It can turn your child’s gloomy day into something fun and exciting! Start by painting the toilet paper roll in blue. You can have your child do this step with your guidance. Once the roll is painted, you can set it aside until the paint dries completely. In the meantime, you can make the clouds by drawing a cloud shape and cutting it out. Let your child draw eyes and a mouth to make it more fun. Then go back to your toilet paper roll and punch two holes on either side where you can insert the string for hanging. Push the yarn through the holes and tie it up. Get your cloud and glue it on the toilet paper roll. Then, cut the colored tissue paper into long strips and glue them around the toilet paper roll. Once done, it is ready to be hung! Making paper flower crafts is perfect for kids of all ages. Not only is it a fun activity but it also helps develop their fine motor skills. Guide your child when it comes to punching a few circles out of yellow paper using the puncher. Cut strips of colored paper but make sure to pay attention to their size in relation to the yellow circles. Then, make a paper loop by putting together the ends of the strips with glue. Depending on the flower you are making, you may need to make quite a few. Have these loops glued on the side of the paper circle until it forms a flower. The final step is to glue the green paper straw at the center of the flower and secure it with tape. Making rainbow crafts is another activity your little one will surely enjoy. Because rainbows are made of different colors, this craft can be a wonderful opportunity to teach your child about colors. Here are the materials you need to make a 3D Rainbow Paper Craft. This craft is very easy to make. Cut 7 strips of paper, one strip of each color to make a true rainbow. Then, cut out two cloud shapes using your white construction paper. Arrange the strips according to the correct color order of the rainbow (red, orange, yellow, green, blue, indigo, violet, or the other way around) and glue one end on one cloud. Then, glue the other end on the second cloud. Use duct tape to secure both ends. Fold the strips of paper following the line of the duct tape so it’s easier to make an arch. Apply glue on the clouds and add cotton balls on both sides of the strips to hold the rainbow’s arched shape. Once done with both clouds, your rainbow craft is complete! There are plenty of fun and engaging crafts your kids can create this National Crafts Month! Feel free to explore some other crafts and use them as an exciting bonding activity with your kids! I highly recommend Children Central! 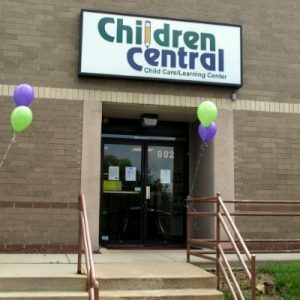 We highly recommend Children Central! I want to thank Children Central for making my son love his first …school experience! My wife and I love Children Central! It has been a great pleasure for us and Dylani to be educated at Children Central. Children Central was upgraded to a 4 star school. ...Children Central is the place for you. Copyright 2019 Children Central All Rights Reserved.